Check out our fantastic range of Spider Guitar cases exclusive to FCW. The Spider range of Guitar cases have been a fantastic success, and with the new models added for 2011/12 will continue to be a top seller. Electric, Bass and Acoustic guitars are all catered for. The Spider range of cases are designed by us and are exclusive to the Flightcase Warehouse and cannot be purchased from any other retailer. So why should you buy a Spider Guitar case? We have over 30 different designs and types off the shelf at our Warehouse in Tamworth and if ordered before 12 noon we will ship same day for next day delivery. Spider Guitar Cases are our own manufactured brand of Guitar Cases, designed and built exclusively for the Flightcase Warehouse. 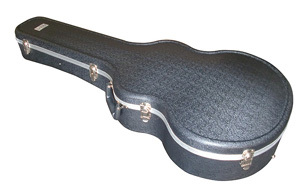 All Spider Guitar cases are designed in house and offer the toughest protection for your Guitar. Around 1000 Spider Guitar Cases are in stock at any one time for next day delivery. Because we buy direct from the manufacturer and miss out the distributor we can offer these cases at fantastic Prices.